Lead Management Services for Student Living – an off-campus accommodation facility for girl-students in Bangalore that stresses on community living. Crafting Genius worked with Student Living to define the target audience and identify opportunities for outreach. 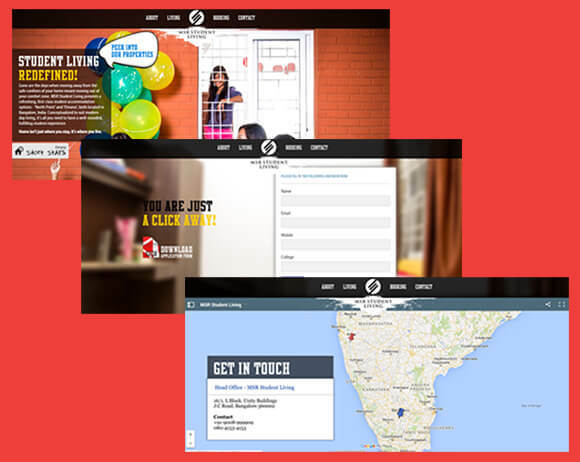 Apart from extending our lead management services, we also managed their digital marketing campaign. It included running targeted ad campaigns on Google Adwords and Facebook. We helped them leverage SEO best-practices and also conducted on-ground activations for the brand at various educational institutions. In working with Student Living, our ability to perform all three functions of the Sales Enablement process (i.e. Lead Generation, Lead Nurturing and Lead Closure) was put to test. Our efforts helped the establishment achieve 66 percent occupancy within the first three months and 88 percent occupancy in the first 16 months.